Could a parking lot have the potential to generate electricity for an entire college? 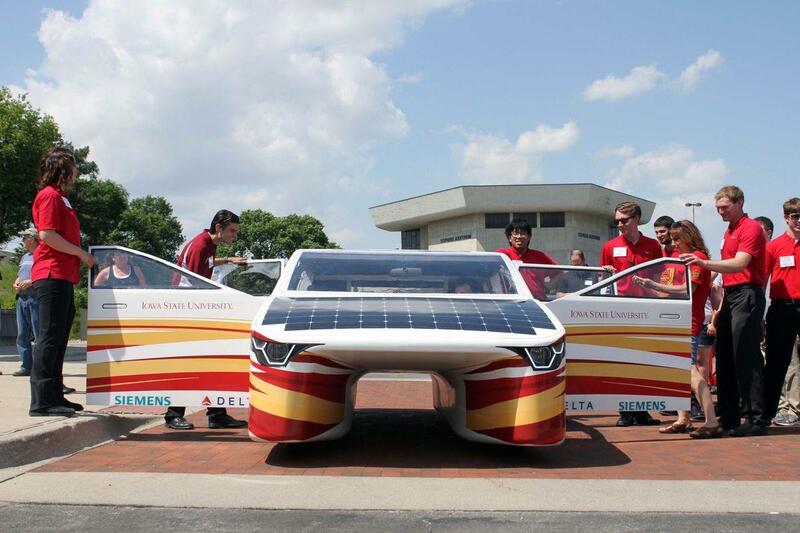 A group of Iowa State University students may have been able to create a full-size racecar, completely run on solar panels, that has the potential. 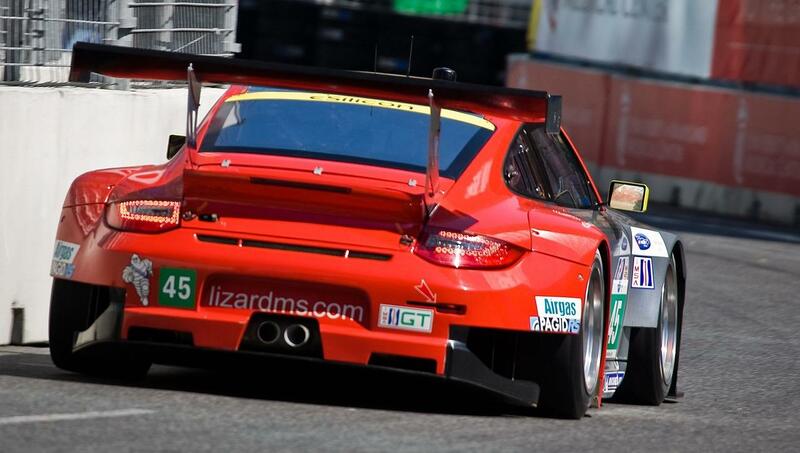 It’ll be toured around the state before being sent to a racing event in Australia this October. Iowa State’s College of Engineering announced the vehicle last April, and the goal was to create a street-legal car. Work was actually started on the project two years ago. Costs reached the $750,000 mark, which more than doubled the amount of their previous car, the Phaeton. Most of that funding came from partners such as Delta, Boeing, and Altium. The public, including some of these sponsors, had the ability to see all the bells and whistles of the Penumbra. It certainly doesn’t look like a traditional four-door car on the outside with the unique coloring, extremely small wheels and extended sides. It almost looks like the vehicle is hovering slightly above the ground. On the inside, things look standard with a stereo system and the ability to use GPS navigation. Another unique trait is the collection of solar panels on the hood of the Penumbra. Not only does that power the vehicle, but it can also generate electricity for other use. It’s been touted as “the world’s first Solar Utility Vehicle.” Matthew Goode, a senior in engineering, talked about the features in the ISD report. Penumbra will go on a 99-county tour in the state of Iowa. The event, called SunRun 2017, started at the Alumni Center where the car debuted in Ames, Iowa, and it’s currently ongoing. It will end in Jasper County on June 24th, with one of the biggest stops at the Iowa State Capitol in Des Moines on June 15th. It will later participate in the Bridgestone World Solar Challenge racing event in Australia, which begins on October 8th. This marks the 14th vehicle created by Team PrISUm. They started creating and racing vehicles since 1989 and Iowa’s first-ever solar car was the GM Sunrayce USA, also simply known as the “PrISUm,” in 1990. The team was able to finally score a first-place finish with the Phaeton back in 2015 at the Formula Sun Grand Prix in Texas.